Reputation is an important thing that should not be taken for granted when choosing a car carrier for your business. In the United States, a good company is the one that is highly cited by the Department of Transportation. The company should have at least a website, so that you can verify the promotions or the marketing offers. The website should also include the contact information and easy access to the company’s Live Support or Customer Support, if the company offers those features. When a highly competitive rate is an important aspect when you’re choosing a car carrier, then you need to make sure that you request quotes from multiple providers. This is a smart move that you can also use to screen out the wrong companies and spot those companies that can offer you the lowest rate. You may need to provide some information about the type of freight that you need to ship, as well as the pickup and destination points. Nationwide Auto Transportation has the network infrastructure to beat any price and provide you with the lowest rate and best service. It’s always wise to check out what other customers are saying about the company. Work with a freight carrier that has a positive reputation in the market, based on reviews placed on reputable review sites. Make sure that the company that you are going to use has their own insurance and ask for proof of this insurance. Also make sure that they are a bonded company. This is required by the FMCSA (Federal Motor Carrier Safety Administration). 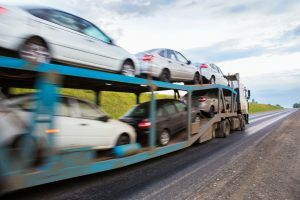 All these aspects can help you when you’re tasked with choosing a car carrier that can work for you and for your business.